Stay home, set the wayback machine to the swinging good ol' days, and whip up some holiday cheer with recipes, some from Chicago's top mixologists, others from reliable tomes of the trade. Combine in a tempered mug and add almonds and raisins. Combine all ingredients with Aquavit. Shake and let infuse in cool, dark place. Taste and shake daily. Strain when desired flavor is achieved. Infusion may take anywhere from 3 days to 2 weeks. Tip: Remove any pith from orange peel to avoid bittering the infusion. Whisk together all the egg yolks in a bowl. Slowly add the sugar a tablespoon at a time until the sugar is dissolved. Continue whisking and slowly pour in the cognac, rum, milk and finally the cream. Your arm will hurt. Beat the egg whites in a different bowl until they form stiff peaks. You can do this with a whisk, too, but a stand mixer will save you minutes of displeasure. Fold the whites into the egg yolk mixture using a spatula. Ladle some out into a cup and sprinkle with a little freshly grated nutmeg. Sip slowly. Separate yolks and whites. Beat yolks until they flow like water. While you're beating yolks slowly, gradually add the sugar, cinnamon, nutmeg, mace and cloves. Beat your egg whites until they are stiff and fold them in. Prime your mug with hot water then dump it and ladle two ounces of the batter, 2 ounces Buffalo Trace Bourbon Whiskey and 5 ounces boiling milk. Grate fresh nutmeg on top and enjoy. Add the sugar and lemon peel to a mug. Pour the hot water on top, add the Irish whiskey and stir well. Pour 1/2 cup of water into a small saucepan with 1 cup of demerara sugar or sugar in the raw. Bring to a simmer over medium heat and stir until dissolved. Bring the water or apple cider to a boil in a small pot. 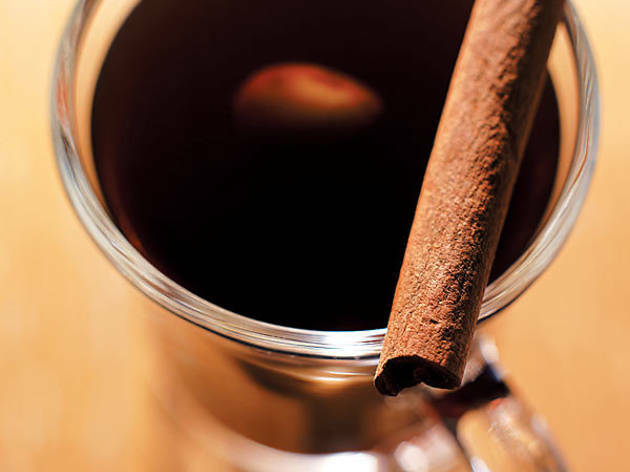 Add the honey and clove to a mug and then pour in the water or cider. Stir well to dissolve the honey. 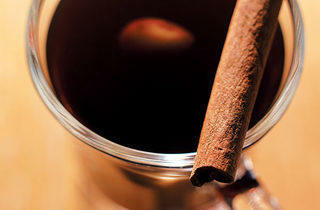 Pour in the rum, sprinkle on a pinch of cinnamon and add the butter. Stir until the butter melts and serve.